The initial public offering of stock-exchange operator BSE Ltd touched the half-way mark on the first day of the issue on Monday, with retail investors leading subscription activity. The public offering of nearly 10.8 million shares—excluding anchor investors’ portion—received bids for 5.4 million shares, stock-exchange data showed. Retail investors bid for nearly 86% of the shares reserved for them. The quota of shares reserved for institutional buyers was subscribed 16.5%. The portion set aside for non-institutional investors such as corporate houses and wealthy individuals was covered a tad more than 12%. The IPO by Asia’s oldest stock exchange is the first public offering by an Indian company in 2017. BSE is also the first Indian stock exchange—and the second bourse after Multi Commodity Exchange—to go public. The IPO comprises an offer for sale of shares by about 300 shareholders including Singapore Exchange, US billionaire investor George Soros’ Quantum fund and a unit of Citigroup. Singapore Exchange is selling its entire 4.67% stake while Quantum is offloading its 3.68% holding, according to information made available in the IPO documents. The notable names missing from the list of selling shareholders include Deutsche Boerse AG as well as state-run Life Insurance Corporation and State Bank of India. The share sale will fetch about Rs 1,243 crore at the upper end of the price band of Rs 805-806. 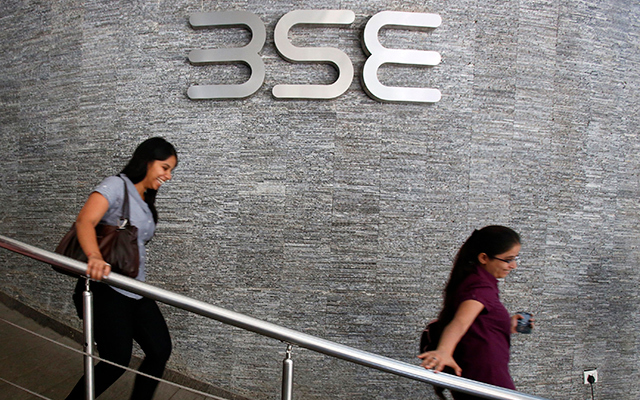 BSE, formerly Bombay Stock Exchange, is seeking a valuation of up to Rs 4,400 crore ($645 million) through the IPO that closes on Wednesday. BSE had opened its anchor book on Friday and raised Rs 373 crore by issuing about 4.63 million shares to 25 investors at Rs 806 apiece. BSE had previously said it will list its shares on bigger rival National Stock Exchange on or around 3 February. National Stock Exchange is also working to go public and will list its shares on the BSE. The stock-exchange operator has appointed Edelweiss Financial Services Ltd, Axis Capital Ltd, Jefferies India Pvt Ltd and Nomura Financial Advisory and Securities (India) Pvt Ltd as lead bankers. Motilal Oswal Investment Advisors Pvt Ltd, SBI Capital Markets Ltd, SMC Capitals Ltd and Spark Capital Advisory (India) Pvt Ltd are the other bankers.